We had planned a holiday long before the fire and we were hoping to have a lovely relaxing time. We flew to Johannesburg. Gorgeous Girl was a hoot on the plane. As we taxied down the runway she shouted at the top of her lungs “We are going super fast. I’m hanging on tight!” followed by “Wheeeee” when we actually took off. I took some knitting with me on the plane (first time I’ve tried to do that in South Africa) and didn’t encounter any problems. I got about an hour’s worth of solid knitting time in, so that was good. We arrived at our destination and felt so tired that we were all in bed by 7.30. The next morning we headed for Pilansberg National Park, but not before stopping at a chemist to stock up on cold and flu tablets. We had some good sightings in the park. This was one of the first animals we saw. 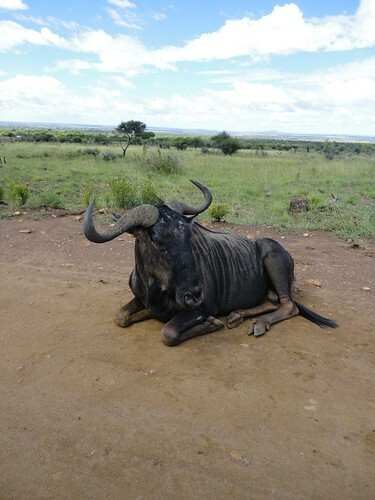 Then we came across this wildebeest resting in the middle of the road. I felt very sad for him as his leg was slightly injured. A bit later on we saw a lion chasing a herd of antelope (forget which ones) and that was very exciting, but they were too far away for us to take decent pictures. Gorgeous Girl really wants to see elephants, and this was the second national park we’ve visited where we’ve had no luck spotting them. The next morning Gorgeous Man and I woke up and we were both so sick that I asked the owner of the lodge where we were staying to see if she could make us an appointment with a doctor (we had no cell phone reception). She couldn’t find anyone who would see out-of-towners in a week between two holiday weekends, so we ended up at the ER of one of the private hospitals. Turns out we had matching throat infections. Me on the left side and Gorgeous Man’s on the right. Oh, and I had a raging case of Pink Eye as well. The ER doctor gave us strong antibiotics and instead of spending a second day driving around looking at animals we spent it lying down in complete misery. 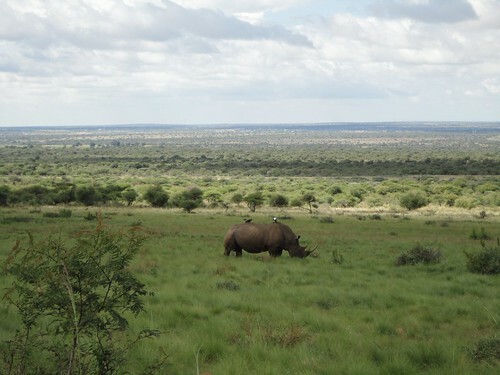 The next day we were to travel to Venda in Limpopo to meet up with some friends of Gorgeous Man – they were planning on going butterfly hunting/spotting up there. Gorgeous Man was feeling slightly better, but I wasn’t. When we arrived at our ‘luxury resort’ we discovered that the website had perhaps over represented itself a little. The restaurant at the resort had this menu. 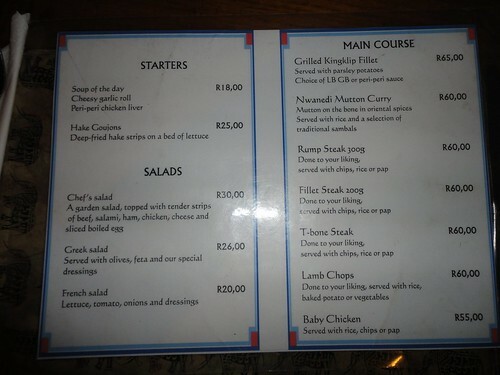 But the only things available from it were the mutton curry or the T-bone steaks. There was also a traditional wedding going on at the resort. It was lovely to see the ladies cooking with huge pots over open fires and dancing and singing. What was not so lovely was the decidedly untraditional hip-hop that started at 9 am and continued until 1am with the bass turned up so loud that all we heard was doof doof doof. Gorgeous Man got in a good day’s butterfly, but since I was still very sick and the wedding had started up again the next morning at about 8am with the music we decided to check out a day early and do half of the drive to Jo’burg to make it easier to catch the plane the next day. 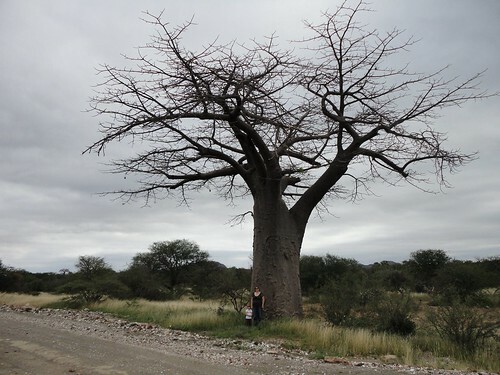 On the way out of the resort we spotted this big baobab tree and stopped to get a photo. I love these trees, we don’t see them in the Western Cape and I think they are very cool. Anyway, back to normal now, trying not to over do things and get too rundown again. And to reward those of you who have read this far, some crafting pictures. 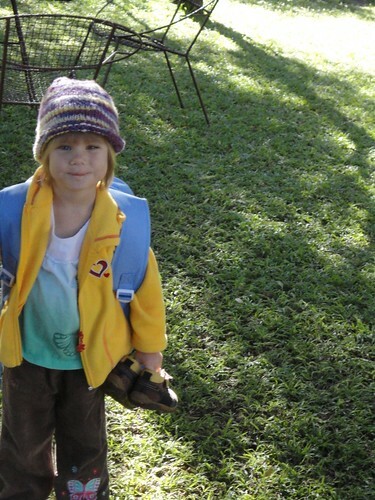 Gorgeous Girl wearing the hat made from yarn she spun herself. 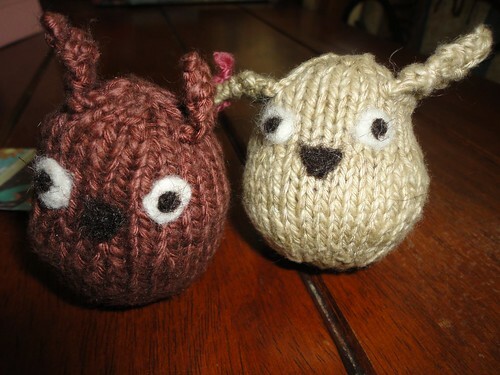 Some little owls which will be sold at Gorgeous Girl’s school open day to raise money for the school. 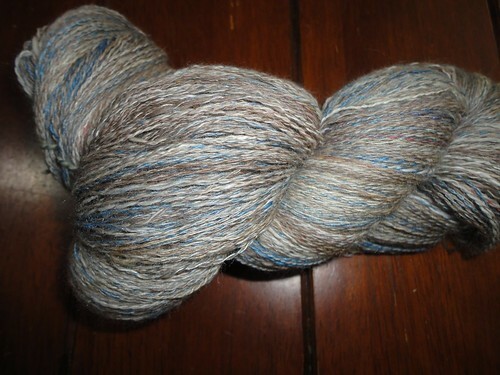 I made 6 of these, two dark brown and 4 lighter coloured. With any luck it will be a much shorter time before my next post.